America and Americans and Selected Nonfiction is two different books. One is Steinbeck's final book, a collection of essays published in 1966 entitled America and Americans. In this slender volume, Steinbeck's thoughts on the state of America were originally paired with photographs by acclaimed photographers such as Ansel Adams, Gordon Parks, and Alfred Eisenstaedt (these photos do not accompany later editions). The other book here is the Selected Nonfiction. Many people are unaware that throughout Steinbeck's career, the author was a prolific writer of short pieces of nonfiction. 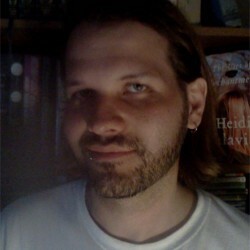 He published several hundred essays on a wide variety of topics. America and Americans and Selected Nonfiction includes fifty four of these essays. Together, all these various pieces feel disjointed. Part of the problem was Steinbeck himself. Despite persistent views that Steinbeck was this or was that, he was an individual who chose not to become any one thing. He did not subscribe to a particular ideology and all that came with it. So, while Steinbeck may have been extremely far left leaning in some areas, he was very conservative in others. While he may have been very cultured, he was also very domestic. While he could be secular, he was also religious. Steinbeck was no one particular thing. As such, he succeeded in being offensive to a very large percentage of the populace. The same man who complains about the evil capitalism of the American corporation praises the American military in Korea and Vietnam for being above reproach. From one essay to the next, the result can be dizzying. Those who've read Steinbeck extensively as I have will recognize many of the pieces. Selections from some of Steinbeck's published books such as The Harvest Gypsies, A Russian Journal, Once There Was a War, and The Log from the Sea of Cortez are present. Also here are a relatively small selection of those pieces Steinbeck published in various magazines from the 1930s through the 1960s. There's nothing spectacular here, though there are moments here and there when Steinbeck shines. Particularly, I think of his chapter in America and Americans called “Created Equal” where he addressed the plight of the descendants of African slavery in a rather open-minded and forward-thinking way for a white man of his era. There's also nothing too surprising here, though, as I implied earlier, some of Steinbeck's views are jarring. 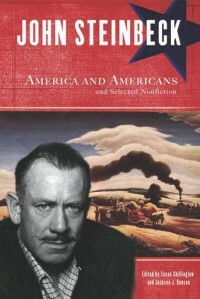 America and Americans and Selected Nonfiction is a Steinbeck book for the Steinbeck die hard. Casual readers of Steinbeck will likely grow bored of the book before reaching the end. Myself, I found some selections fascinating, some tedious, but most were little more than clever observations by an astute mind.